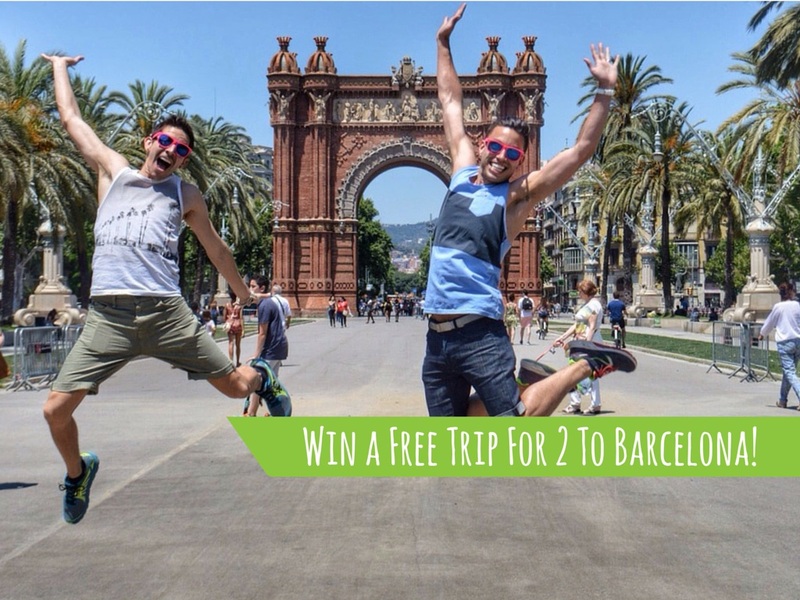 As part of the #mygaypride campaign, Two Bad Tourists have partnered with gaytravel.com to give away a free trip for two people to Barcelona as part of MyGayPride. One lucky person will win the trip including airfare for two people on Norwegian from any one of the 130+ destinations in 37 countries where they operate. Accommodations are provided by MisterBNB, the #1 gay hotelier in the world with 25,000 hosts in over 130 countries. The winner will also receive airport pickup and LGBT city and nightlife tours provided by Rainbow Barcelona Tours, the first gay tour company in Spain, now operating in multiple cities across Europe. The giveaway kicked off on August 15th and continues for 6 weeks. The winner will be drawn at random but entrants can get more entries and a better chance to win by sharing the giveaway with their friends. Those interested in the giveaway can enter online on Two Bad Tourists’ website until October 1st. TwoBadTourists is a travel blog created in 2012 by David Brown and Auston Matta. Married and together since 2006, they left their lives in the US and sold all their belongings to travel the world. Now living in Spain, they continue to run their blog sharing their travel adventures about festivals, events and the best LGBT destinations. SUBSCRIBE To MANABOUTWORLD: Please check our unique digital gay travel magazine for savvy gay travelers by downloading the ManAboutWorldApp on the iTunes App Store or Google Play. We support iPads, iPhones and Android devices. There are a few FREE publications in all of the apps, and you can click here to register for a FREE three-month subscription. Jump up and down and join in!